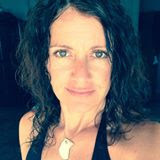 Tara has taught numerous survival skills, connecting with mother earth and how to self empower yourself workshops and retreats. She has also given presentations on her Naked and Afraid survival experience. Tara is also owner and guide of www.nakedearthtantra.com , where Tara helps others connect with the earth, themselves and others through nature, breath and other Tantric practices. Check out the website to see what she is offering in the upcoming months.